For the full treasury page and links to these items, go here. 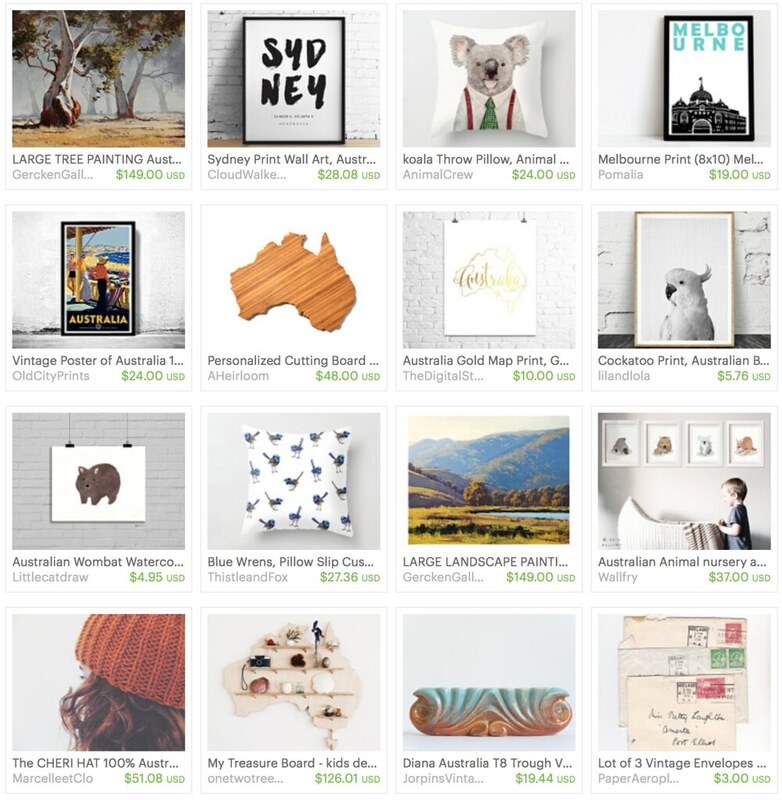 Vintage Soup and Vintage Soup Closet have a lot of customers from Down Under, so right around Jan 26th, I like to honor their country's big day with a treasury of choice items that either celebrate Australia or are made by Aussie Etsians. Also, when I was looking up whether or not I should capitalize "Down Under," I was reminded of this gem and feel that you should be too. One time, years ago, my spin instructor allowed us to choose our favorite songs for a class playlist. This was song was my contribution; my instructor was not nearly as amused as I was. HA, your song choice was clearly the best darned one on the playlist, no doubt about it! You know it! Piercen came in a close second with "Mr. Roboto." Poor Janice . . .